Dwell by Cheryl: "Mini Project Reveal - Part 2"
As indicated in the Bathroom Basics: Mini Project Reveal post, I've been working to get a client's temporary house a little more like a temporary home. Again, I'm hesitant to show the pictures, simply because they aren't all that dramatic. Since it's only her home away from home, it seems silly to invest in non-essential pieces of furniture and accessories. So, I've done as much as I can to bring at least a little taste of home to her current dwelling. As a courtesy to my clients I typically don't share sourcing info on project reveals, but I wanted to share with you some of the great pieces at Rooms to Go Outlet. 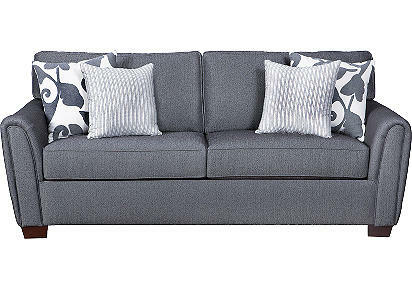 We began with this Pemberton sleeper sofa. It was great because of it's form and function. Her kids come up often so the sleeper was a must have. 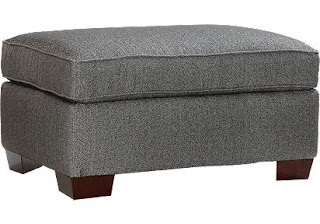 I was sold when I found out that the matching ottoman was available. I knew it would make the perfect coffee table, that could double as extra seating. ﻿ We got it at a great price, and used it as the jumping off point for the entire room. 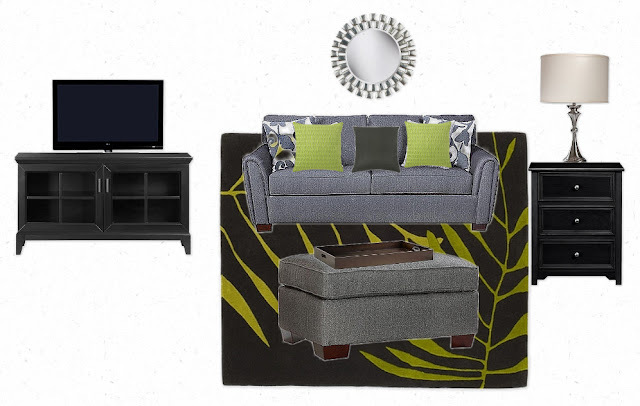 The client really seemed to be gravating toward green, so I went with it, and put this inital idea board together. And on another note, I'm so excited that Chelsea is back and working with me. She's the best intern EVER! WAY TO GO CHERYL AND CHELSEA!! Enjoyed reading the blog! You are fantastic! !